Creating a safe and welcoming space for dancers of all gender identities and preferences is something all scenes should strive toward. But how do you make sure that LGBTQ+ folks feel welcome at your dance or studio? DJ Mary Blendermann has compiled a boatload of helpful tips on how to run your classes, dances and competitions in ways that are open and accommodating for everyone. We want to know that we can dance any role. All of your classes should open with a vocal acknowledgment from the instructors that anyone may dance any role. This may seem almost too obvious to say out loud, but I promise, this is really important – it makes us feel seen, and it makes us feel like we have the instructors’ support in case we experience discrimination from other dancers in class…. Want more help? Check out the LGBTQ+ Swing Dancers Network on Facebook and a LGBTQ+ panel we hosted here on Yehoodi. Dietmar and Nellia are an incredible older couple from Austria who have been burning up the YouTube’s with their energetic swing dancing. You’ve probably had a family member share a video of theirs with you at some point. Here they are tearing it up at Rock That Swing in Munich earlier this month. A couple of months ago, we announced that SwingDJs.com, after a 16 year run, was finally closing its virtual doors. Well, news of its demise was premature. Jesse Miner let uss know that swingdjs.com lives on, thanks to DJ Andy Lewis, who has generously offered to host the archived site moving forward. So while you can’t post to the site anymore, this amazing resource for swing DJ’s is still accessible online. Thanks, Andy! Hey you got your hip-hop in my lindy! No, you got your lindy in my hip-hop! Or maybe it’s two great tastes that taste great together. (Yeah, just dated myself there.) Anyway, that’s just what those crazy Behopper dancers in Belo Horizonte, Brazil have done, mashing together swing movement with urban dance moves. 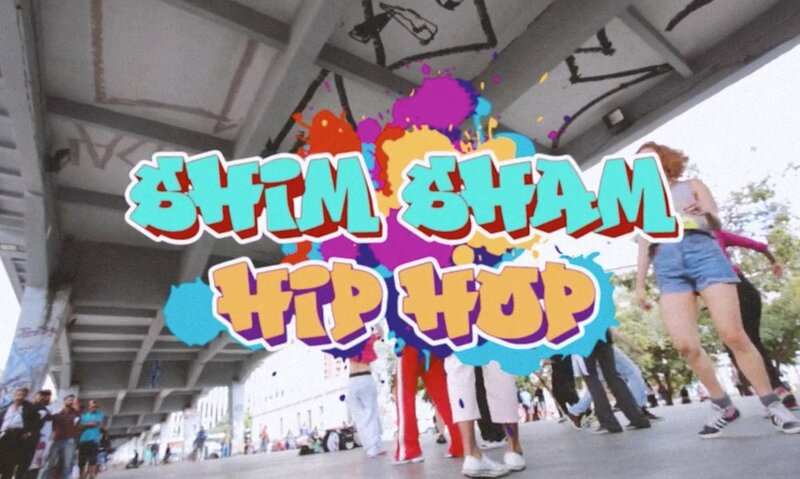 And here’s what you get: the Hip-Hop Shim Sham. Check it out. Super fun old skool hip-hop moves! Of course, I have to mention that seven years ago me and my friends Jeremy and Shawn performed the B-boy Shim Sham in San Francisco. Not as fancy production values, but lots of fun to do.